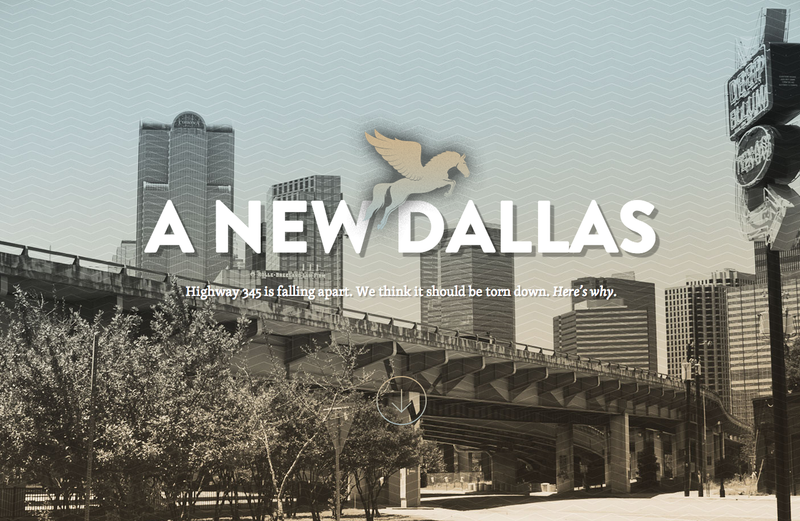 The rest of the country might think of Dallas as an ultra-conservative town. And as some one who spends a lot of time there, I can tell you that... It sort of is. But it's also home to great art, food, and increasingly, a progressive take on the future of cars. To wit: A proposal to permanently demolish an important freeway that runs through the city. I-345 is a 1.4-mile-long elevated highway that's now 40 years old—which makes it an aging giant, by infrastructure standards. Indeed, according to the results of a two-year-long study on the feasibility of tearing it down, I-345 is too old, too unstable, and perched on land that's too valuable to justify rebuilding it (as the Texas DoT plans to do). A New Dallas, the campaign dedicated to promoting a plan to tear the highway down and infill the land with 186 acres of housing, parkland, and commercial buildings, is trying to curry favor with locals in order to stop the current plan to redevelop the highway. Where will the 160,000 cars that travel I-345 every day go? Well, that's the funny thing about traffic. According to a concept called "induced demand," new streets don't actually lead to less traffic—they lead, paradoxically, to more. Studies have shown that reducing freeway real estate doesn't actually affect traffic very much. For example, as Chris Jagers pointed out this summer, when the West Side Elevated Highway was dismantled, traffic dissipated by 53 percent—mostly because drivers from New Jersey were using it as a short cut.